In a pot over medium-high heat, bring water to a boil. Add in the amaranth grain, cover and reduce heat to medium-low. Let simmer until water is absorbed, about 20 minutes. Remove from heat, fluff with a fork and cool completely. 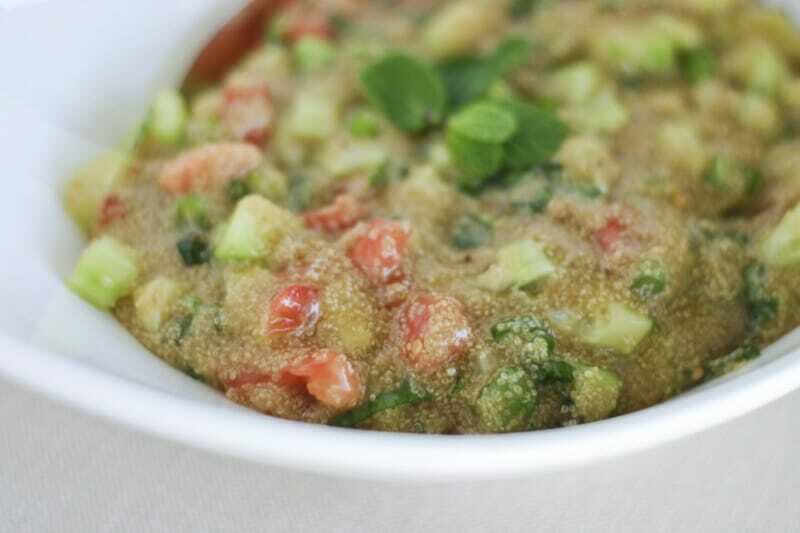 In a large salad bowl, toss together cooled amaranth grain, cucumber, tomato, scallions and mint leaves. In a separate small bowl, whisk together lemon zest, lemon juice, orange juice, red wine vinegar, honey and salt. Drizzle in the olive oil while whisking until an emulsified dressing forms. Pour the dressing over the salad and toss together until well coated. Cover and chill until ready to serve.